We saw these turkey vultures flying over Lake Mathews Dam a few days ago. My wife had her camera with her so we decided to stop and take a few pictures. 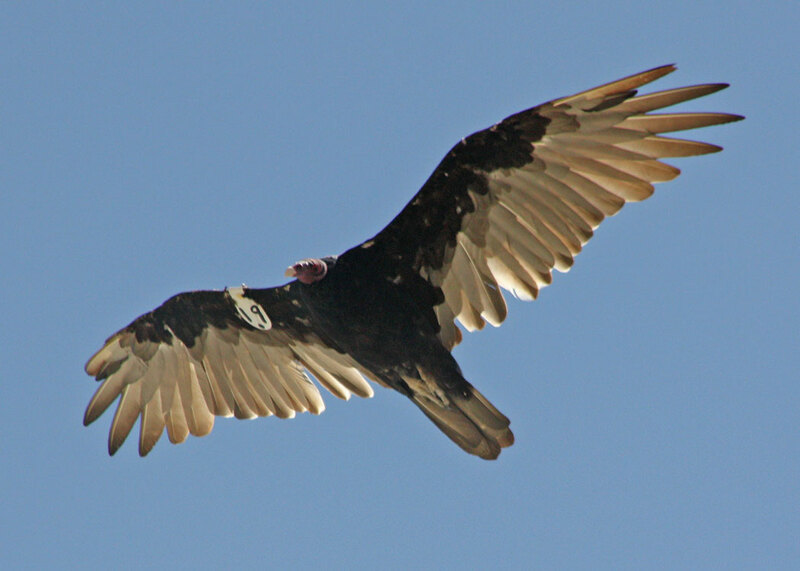 We were curious about the bird with the wing tag so I consulted google and found a conservation site that had pictures of other turkey vultures tagged with white wing tags. I eventually found out that this bird was tagged in the summer of 2009 either at Irvine Lake in Orange County or at the San Jacinto Wildlife Area. I also found a site operated by the U.S. Geological Survey that lets you report sightings of tagged birds. So if you see a tagged bird, visit www.reportband.gov/. Very cool – thanks for sharing. 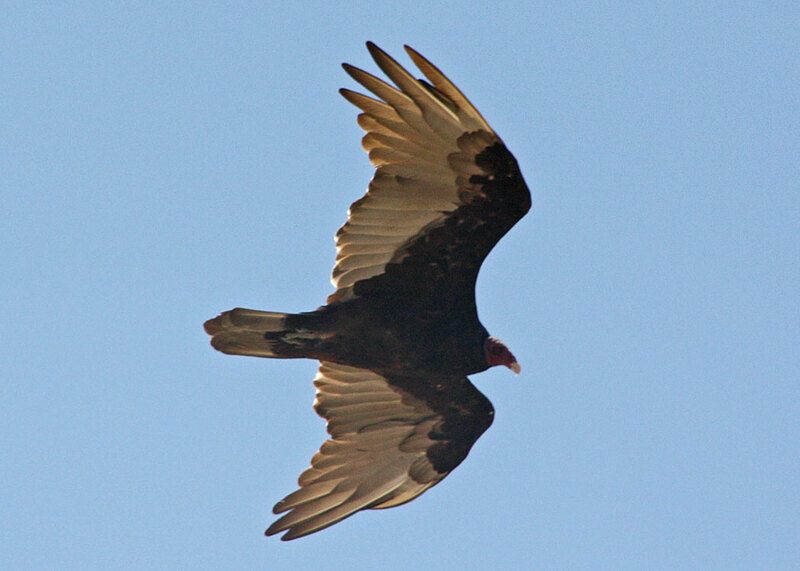 I just saw a turkey vulture off LaSierra, about 1.5 miles from the lake today. It was resting on a brick wall and then flew off into a nearby eucalyptus tree. I couldn’t tell if it was tagged or not and unfortunately didn’t have my camera. Normally it is hawks I see, but today it was quite exciting to see this bird. 1.5 years ago in February I saw a bald eagle at the lake – that was spectacular (but again was unable to get a picture). Wonderful to know these magnificent birds are around here! Seeing a bald eagle out here would be amazing. 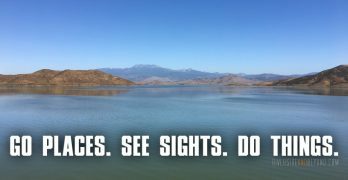 I just read that bald eagles are winter visitors to some of our lakes, including Lake Mathews. We will definitely be looking for them this winter. Until you posted, I had no idea that bald eagles could be found out here. Thank you. I forgot to post that I received a certificate from the USGS a few months after reporting the tagged turkey vulture. According to the certificate, the bird was “HATCHED IN 2007 OR EARLIER” about “9 E OF SANTA ANA”. The certificate also lists coordinates which correspond to an area in Irvine next to the 261 near Portola parkway.